Two-time Macau Formula 3 Grand Prix winner Felix Rosenqvist will return to the famous Asian street event for the 2017 edition next month, commencing a new chapter at the Guia Circuit as he steps across to the FIA GT World Cup category. 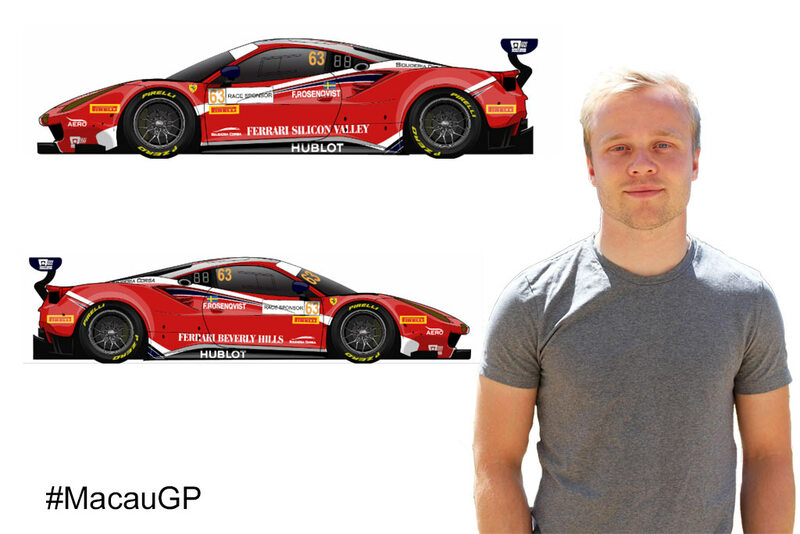 With two wins and two second-place finishes to his name, Rosenqvist is the most successful driver in the history of the Macau F3 classic, and will now attempt to add to his achievements in the former Portuguese colony in the GT3 race that shares the same bill. The 25-year-old Swede will contest the event’s FIA GT World Cup – the most prestigious sprint-style GT race in the world – behind the wheel of a Ferrari 488 GT3, entered by American team Scuderia Corsa. Rosenqvist – whose two Macau F3 wins came in back-to-back events in 2014 and 2015 – has limited experience of GT competition, a race-winning season of Blancpain GT Series Sprint Cup action in 2016 his only proper take on the category. The Los Angeles-based Scuderia Corsa squad was formed in 2013, and will tackle the ultra-demanding Macau track for the very first time next month. The team has claimed the GTD crown in America’s IMSA WeatherTech SportsCar Championship in each of the last two years, with GTE-Am class victory at the 24 Hours of Le Mans in 2016 marking another highlight. A total of six manufacturers are set to participate in the 2017 FIA GT World Cup, with Ferrari joined by Audi, Mercedes, BMW, Porsche and Honda for the November 16-19 extravaganza. Just two weeks after contesting Macau, Felix Rosenqvist will commence the 2017-18 Formula E season just across the Pearl River delta in central Hong Kong. Rosenqvist is currently on site in Japan for this weekend’s Super Formula finale, where he remains in the running for the title in only his first season in the championship.